CompTIA Network+ Certification is a performance-based computer networking certification including computer network concepts, implementations, installation, configuration, troubleshooting, topologies, management and security that helps you develop a career in IT infrastructure. 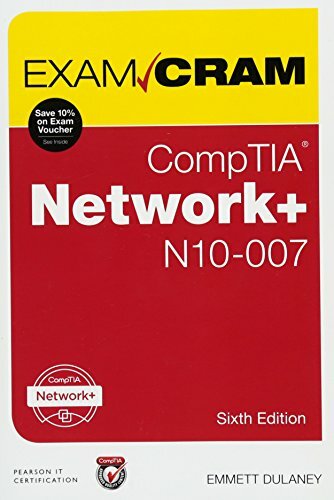 Here you will get some CompTIA network+ book. 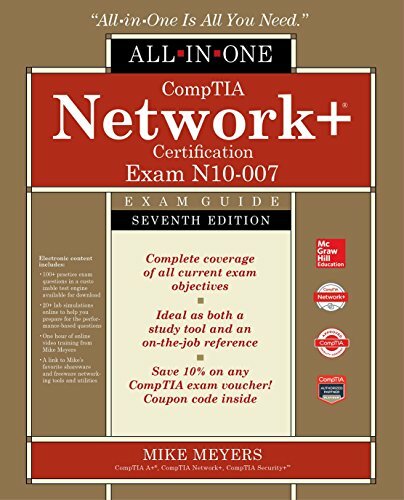 CompTIA Network+ Certification All-in-One Exam Guide is an excellent and fully updated book written by CompTIA training and certification guru Mike Meyers. This is the bestselling book which contains 100% coverage of the exam objectives, real-world examples from training expert, hundreds of accurate practice questions and serves as a valuable on-the-job reference. A collection of Mike Meyers’ favorite shareware and freeware networking utilities. 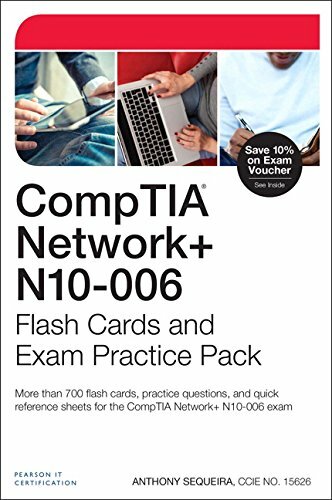 If you want to pass successfully CompTIA’s Network+ N10-007 exam CompTIA Network+ N10-007 Exam Cram is the perfect study guide for you. It covers information about cloud networking, IPv6, wireless technologies, wired and wireless topologies, ports, protocols. Cram quizzes, cram sheet tear card help you to enhance your knowledge in this field. How to establish a plan of actions. Also, know how to monitor and analyze network traffic. 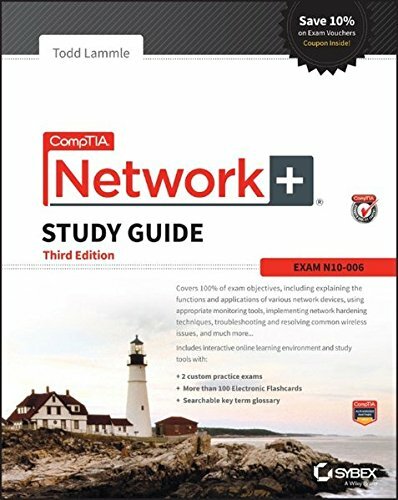 CompTIA Nework+ Study Guide is a well written, accurate and contains a lot of material with plenty of exercises that help you relate to real-world scenarios and applications. This book covers 100% of exam objectives, interactive online learning environment, and study tools with 2 custom practice exams, more than 100 electronic flashcards, searchable key term glossary. Also includes the URL on the back of the book to give u access to online practice test material that makes the exam easier. 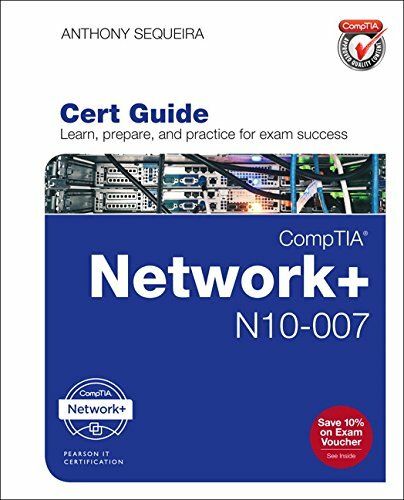 CompTIA Network+ N10-007 cert Guide makes you the master of CompTIA Network+ N10-007 exam by improving both your conceptual knowledge and hands-on skills. In this book, materials are presented in a concise manner and review questions help you assess your knowledge. 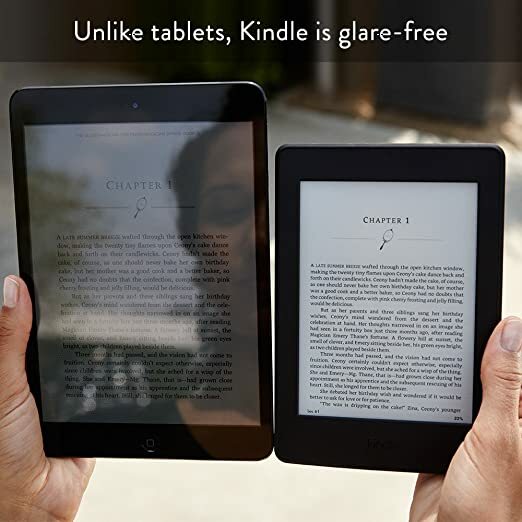 The key topics of this book are computer networks and the OSI model, network components, Ethernet, IP addressing, routing traffic, wide area networks (WANs), wireless technologies, network performance, command-line utilities, network management, policies, security, and troubleshooting. A great, organized, structured, concise book and is a must read for those people who are preparing for the CCNA ICND2 exam as it encompasses all objectives for the ICND2 exam. By providing Strategies to prepare mentally, organizationally, and physically for exam day. 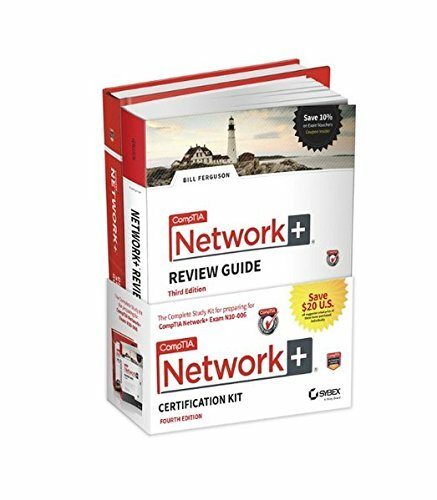 CompTIA Network+ Certification kit is the complete package with in-depth information needed to pass the certification. The book is broken into 5 parts including domain 1.0 network architecture, domain 2.0 network operations, domain 3.0 network security, domain 4.0 troubleshooting, domain 5.0 industry standards, practices, and network theory. Authoritative coverage of key exam topics. This is the best book to refresh your mind and test your knowledge before the exam. This book includes more than 700 flashcards, three full exams of realistic test questions, the actual exam experience which enables you to select question topics, check answers, review explanations, bookmark questions, and take notes, assessment software,40 performance-based question exercises and more than 100 graphical quick reference sheets. There is a very concise “reader’s digest” summary at the end of each chapter. 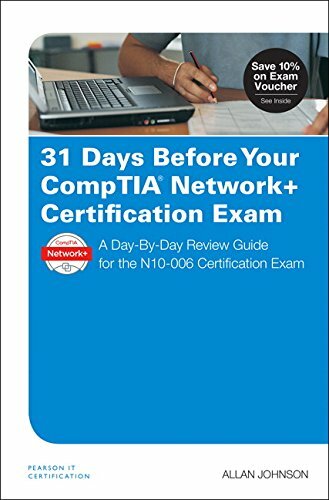 This good book was written by Mike Meyers, the leading expert on CompTIA certification and training with lots of good information. 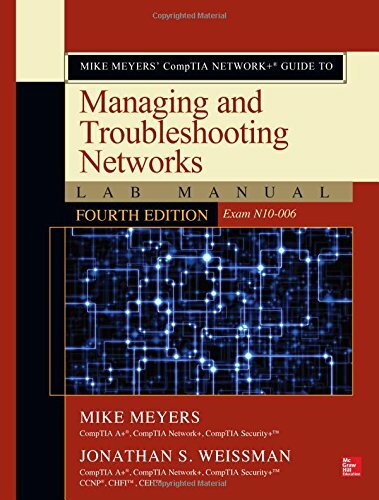 Mike Meyers CompTIA Network+ Guide to Managing and Troubleshooting Networks Lab Manual is an up-to-date, full-color textbook including coverage of Learning objectives, photographs, and illustrations, real-world examples, cross-check exercises, key terms highlighted, tech tips, notes, and warnings, exam tips, end-of-chapter quizzes and lab projects. One hour of video training. 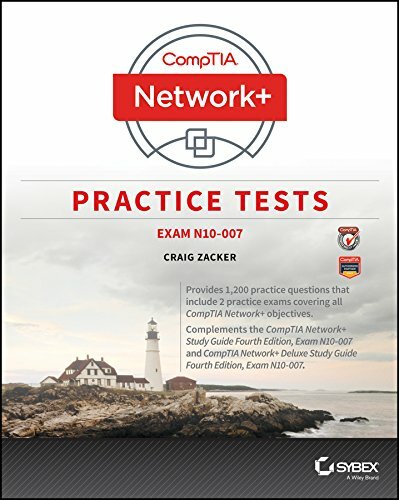 CompTIA Network+ Practice Tests provides the coverage of 100% of all CompTIA Network+ exam objectives that help you gain the confidence you need for taking the new CompTIA Network+ Exam N10-007. This comprehensive book provides advances in networking technology and reflects changes in associated job tasks. Industry standards, practices, and network theory.